Trampoline use, both in backyards and in large recreational parks, is up. So are injuries incurred on the equipment, including fractures with potentially serious long-term sequelae. Some groups advise a ban on home use, but other experts disagree, citing the equipment’s benefits for motor learning and active play. Cerebral palsy (CP) can decrease mobility, which is key to quality living. Children with CP and compromised mobility are at risk for low bone mineral density and fragility fractures, but physical therapy programs and orthoses can help kids be more active to build stronger bones. More than a third of Ponseti-corrected clubfeet relapse and require additional treatment. Making a complete initial correction, ensuring optimal brace comfort, and encouraging parental buy-in to bracing over the long term reduces brace nonadherence, a major cause of recurrence. The most public battles about barefoot running and minimalist footwear have been fought over their use by adult athletes and the clinicians who treat them. There is, however, a separate discussion underway regarding barefoot and minimally shod running in children. Juvenile idiopathic arthritis (JIA) affects nearly a quarter of a million US kids younger than 16 years. The hallmarks of the autoimmune disorder include joint inflammation, stiffening, and damage, as well as changes in joint growth, all of which can prove painful. Accommodating growth without compromising fit and function is a challenge for practitioners who prescribe orthotic devices for young patients. Adjustments and add-ons—as well as educating parents about expected changes—can make for smoother transitions. Childhood obesity and OA: Can early care reduce risk? Osteoarthritis (OA) risk factors and symptoms seen in adults have been found in obese kids, who often have musculoskeletal pain. Weight loss may help, but preventing OA may also require gait and exercise interventions, particularly those that reduce pain that leads to inactivity. 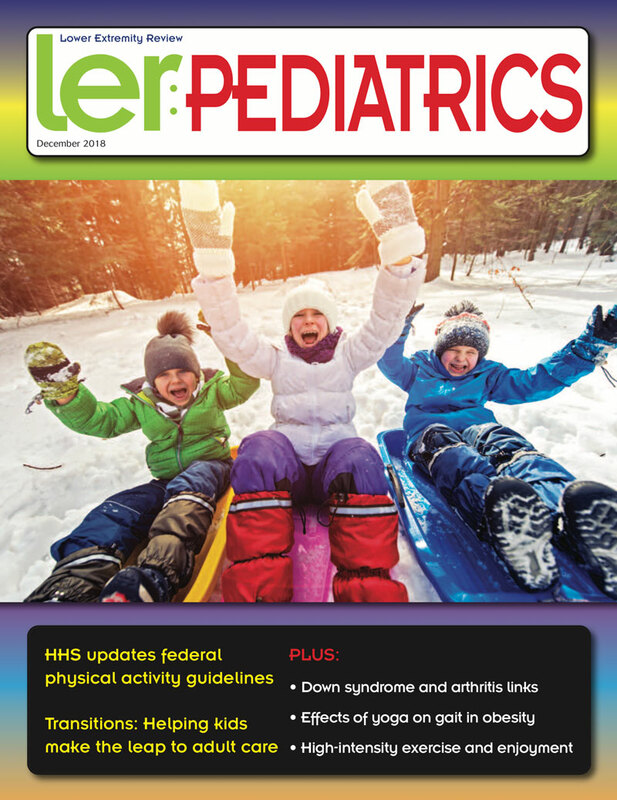 As hip arthritis becomes a growing concern in adults with Down syndrome, clinicians are also becoming more attuned to hip issues in children with DS, in hopes that early intervention in the pediatric population will help reduce the risk of disability later on. Once pain and inflammation have been addressed, clinicians can implement interventions—including orthotic devices, stretch­ing, and strengthening—to address the biomechanical factors that are believed to contribute to heel pain and other symptoms in this population.